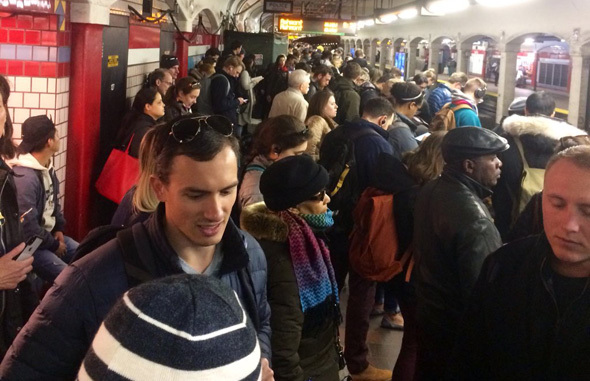 A train with "a mechanical problem" at Massachusetts Avenue caused 20-minute delays on the Orange Line during rush hour, the MBTA reports. The Dorchester Reporter updates us on the T's latest thinking on what to do about the Mattapan Line - which will start with renovating stations, bridges and tracks over the next five to ten years, at a cost of up to $115 million, followed by replacement by the current 1940s-era PCC trolleys with some of the bigger trolleys now in use on the Green Line. 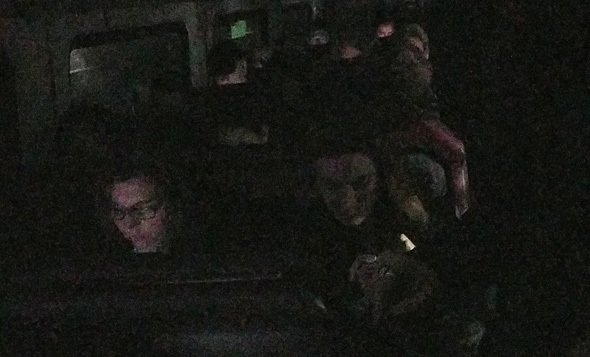 Update: Trains moving again, except between Wellington and Oak Grove, where the T is rolling out shuttle buses. A fire at Malden Center is jamming up the entire Orange Line. Am posting this from aboard a Forest Hills train at Back Bay, which is standing by because of the fire several miles in the other direction. MassDOT today announced plans to spend $2.4 million on a year-long pilot project in which it will subsidize the cost of moving people in wheelchairs around the current RIDE service area. Read more. Tory Bullock is not a fan of the impending MBTA fare increases. Red Line riders complain: Where is the frickin' train? Delays reached 30 minutes on the Red Line this morning after a train approaching Harvard gasped its last and just died right on the tracks. Among those who got stuck: State Rep. Tommy Vitolo of Brookline: Read more. 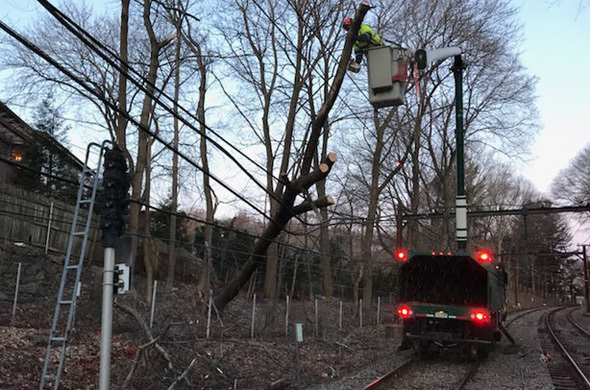 At 8:42 a.m., Lauren P G reported from a dead, dark Needham Line train - which was stuck behind an even deader Franklin Line train: Read more. Transit Police report arresting a Brighton man they charge punched out another man who objected to being stared at on the platform at the Orange Line station at Green Street on Wednesday morning. The MBTA announced today it's renaming Yawkey station on the Worcester as Lansdowne, starting April 8. 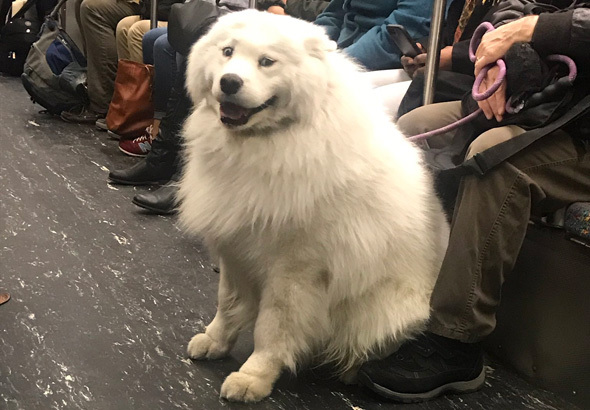 This fluffy commuter would like you to have a great day at work. Jed Hresko recounts an experience on the Orange Line today, involving a poor lady in a wheelchair who just wanted to get off the train: Read more. James Floyd admitted today he went up to two women, grabbed them and thrust himself at them while working a detail at North Station on March 29, 2018. Read more. New Orange Line cars: Better late than never? WBUR reports the MBTA has once again pushed off the start of the ten new Orange Line cars it now has on hand, this time to the summer, due to a software glitch involving how the cars interact with the T's signaling system, which at least sounds like the kind of thing you'd want to hold off a rollout over. Boston Magazine reports the certification came today for a marathon T trek of seven hours, 29 minutes and 46 seconds in August. 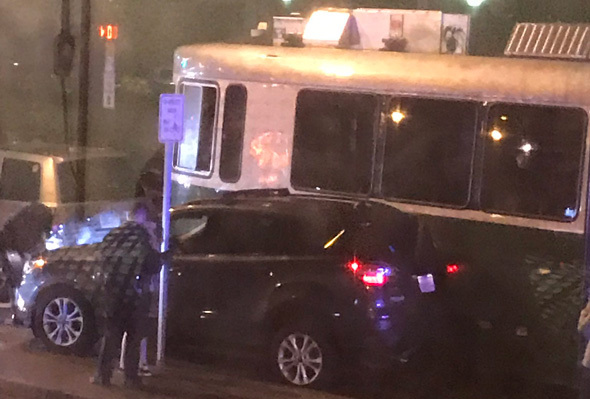 NBC Boston reports the woman is expected to survive. A Green Line trolley near Boylston and an Orange Line train somewhere on the tracks both suffered embarrassing mechanical problems around the same time this morning, causing delays on the two lines, but the MBTA says everything's back to being hunky dory.